It is considered one of the greatest Uyghur engineering feats and has been nicknamed “The Underground Great Wall”. 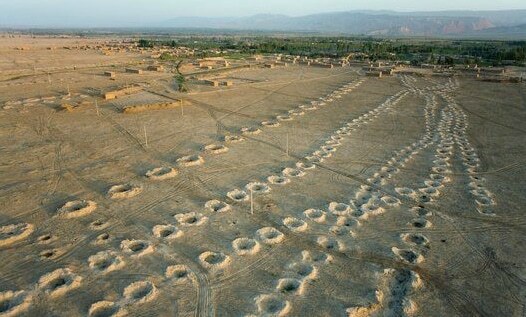 It is the reason that cities like Turpan exist and is still a primary source of water for many Taklamakan Desert towns. Uyghur Karez (坎儿井) are a modern marvel, but because they are located meters below the ground they often don’t receive the credit they deserve. It’s a shame, really, because I would dare to say that the karez are more impressive than it’s above-ground brother – The Great Wall of China (even though there are impressive parts of the Great Wall worth hiking). It’s a classic problem for desert dwelling people both now and in the past. How do we get the water we need to survive? It’s especially problematic for those living in the Turpan Depression, an area of Xinjiang that can reach temperatures whose surface temperature can reach as high as 80°C (176°F). 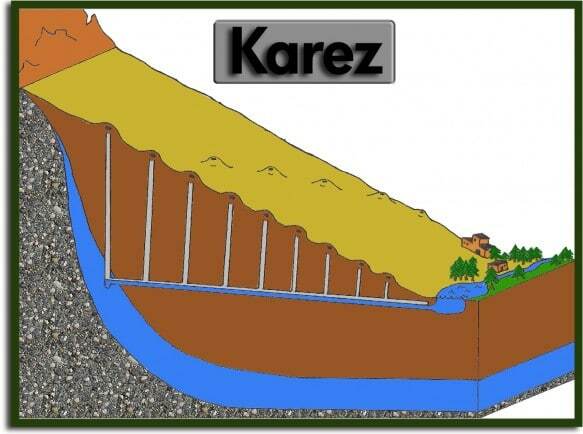 Because evaporation makes above-ground channels impractical, a new method had to be developed to transport mountain runoff to the flat land. This is where the Uyghur Karez enter the scene. By digging at the shallowest part of the underground reservior – fed by snow melt from the nearby Tianshan – the ancient Uyghur were able to channel the water toward their homes. 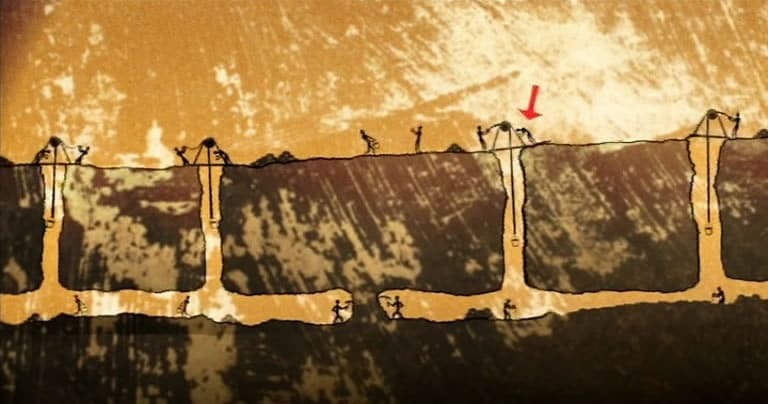 As you can see in both diagrams, they constructed the underground channel using a series of shafts to dispose of the rock and ventilate the space. These shafts usually average about 10-30 feet, but some go as far down as 100 feet. It seems simple enough, but when you consider that they didn’t have any of the modern instruments or construction tools that we have today, it’s absolutely fascinating. By comparison, it took 600 prisoners at a German war camp an entire year to dig to freedom in 1944. 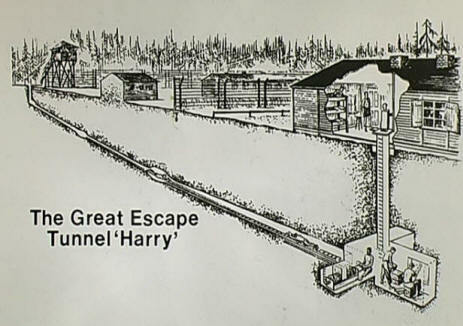 Their tunnel – although impressive – was only 200 feet long. 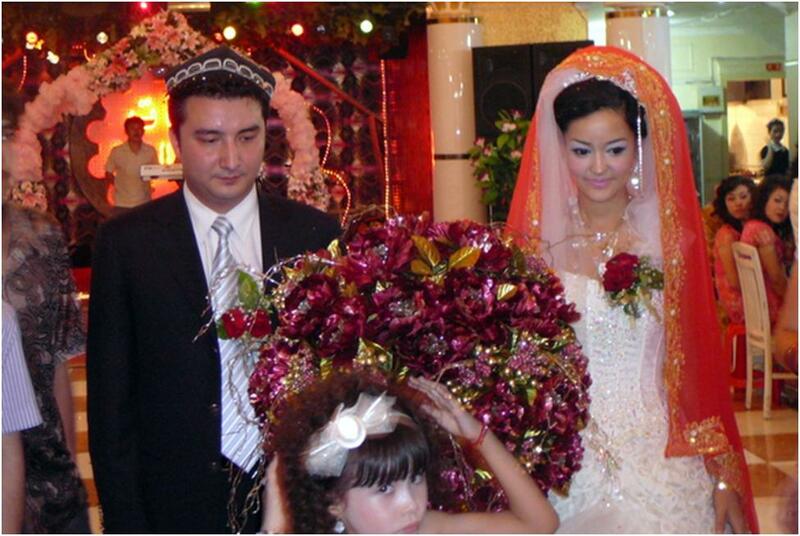 In Turpan it is actually possible to visit what is known as the “Karez Museum” west of the city center. Here you can get a brief history of the karez as well as a chance to walk through one of the tunnels. Unfortunately while the karez are a marvel of human ingenuity, the museum is not. A hefty entrance fee of 40元 grants you access to a poorly designed karez model and only about 50 feet of actual karez. Most of the signs are all in Mandarin and Uyghur script, so knowledge of those languages is necessary to fully appreciate the museum. I went to the other place called Karez Paradise and I found it pretty good. It is still 40 RMB to get in, but they have a nice miniature of a Karez and people to give a presentation every 10 minutes or so. I’ve been to many other touristic sites all over China and you don’t get good explanations very often. Thanks for your comment and I hope I can pass this information on to anybody else who is interested to travel out to Turpan. It’s a remarkably good idea. Surprised not to have heard of it to date. There are some tunnel complexes in Hebei that were dug as part of the anti-Japanese resistance in the 1940s that can still be visited today. In most cases they’ve heightened the tunnels and encased them in concrete for the convenience of the visitors, but it is still pretty impressive. I suspect that – as with these – there aren’t a lot of non-locals who visit the site. Great blog post, a massive engineering feet for a society less educated, informed or technologically savvy than today. 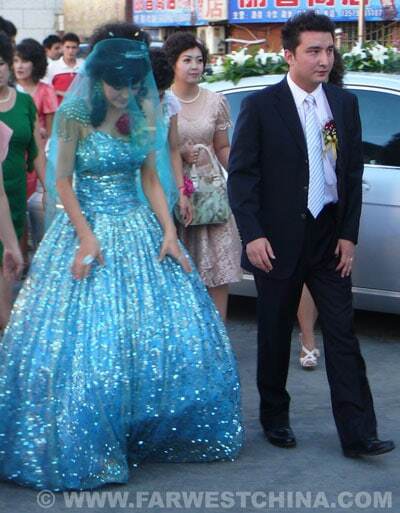 As I work in the mining sector, I’ve forwarded this blog onto my bosses, one of who was a geologist in Xinjiang a while back. Thanks, James! Definitely interesting to ponder as you walk through the actual karez. Sometimes it’s hard to believe that it’s man-made and not a natural occurrence when you’re walking around. Interesting post. Do you have a source on the 80 degree C thing? I think it might be a typo. Thanks for your comment, James! I think I’m going to edit the article to reflect a good point you’ve made – that was the highest recorded *surface temperature*. The highest recorded temperature is about 40+ degrees Celsius. The surface temperature is important here because of how evaporation in any above-ground solution for water transport would have been impossible. Thanks! 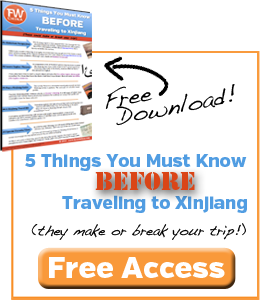 Your website is being a great source of information for Xinjiang. We visited today the museum and were quite disappointed. I wanted to point out though, that all explanations were in a very comprehensible English. Something is something. What exactly were you disappointed about?